Mountain getaway! 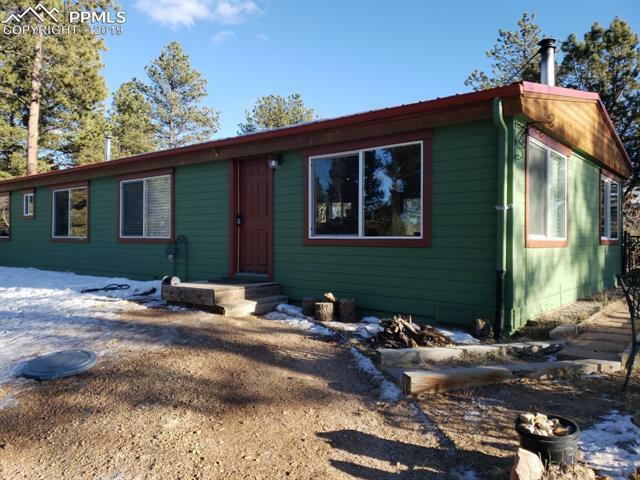 Look no further if you want Privacy, Views of Pikes Peak and a Super Cute 2 bedroom 1 and 1/2 bath home on 4+acres. Wood plank floors thru out and tongue and groove ceilings in both bedrooms. This home is so cozy with 2 fireplaces and forced air heat. New solar powered security gate, solar powered ventilation system in roof to keep home warm in winter and cool in the summer. Garden area and dog run. 3 Car Over Sized Garage. Check this one out! Remodeled in 2007-2011.